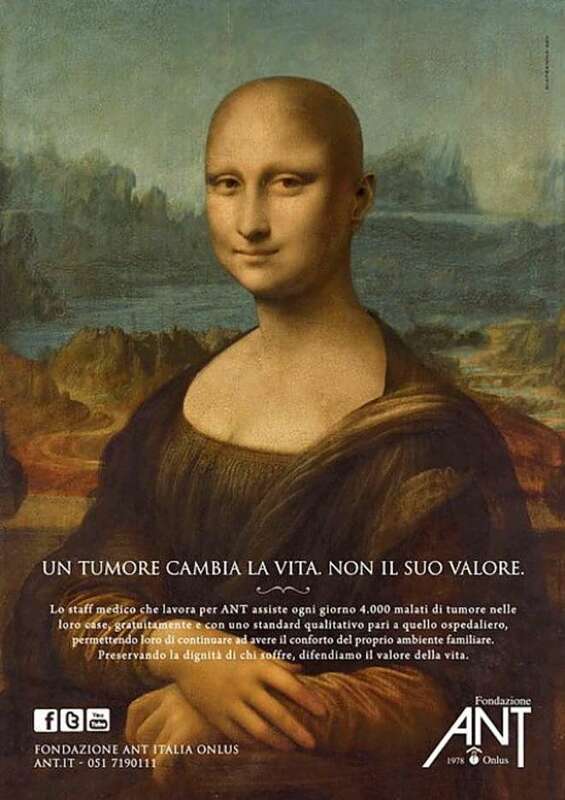 The new advertising campaign for the ANT Foundation Italy entrusted this message to a powerful visual: unusual Mona Lisa completely devoid of hair. It is a glance puzzling, perfect emblem of the upheaval that cancer brings with it, the enormity of its impact on the person’s life and of it’s inestimable value. The Mona Lisa made so distorts the icon carved in the collective memory, putting into question how exactly does a cancer with a personal history of those affected. Exceeded the initial amazement, we realize that the work – as different from that which we are accustomed – loses nothing of its value and of its uniqueness.